Facebook did not exercise caution with its user data. Now it has to pay the price in the form of bad press. Facebook is trying very hard to make the social media platform over before the company’s CEO actually goes on to testify to the Congress. That is supposed to happen within the next week. 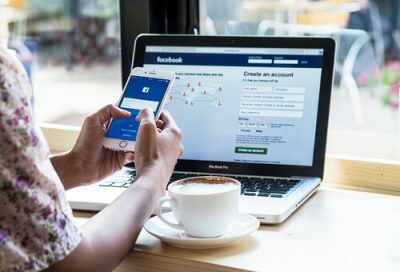 Just a couple of days ago Facebook announced that it would make use of several new and more effective authentication requirements for its platform’s Pages and as. Various media reports have also revealed that Zuckerberg has actually endorsed the US Senate’s Honest Ads Act (which is still pending). What is the Honest Ads Act? It is just a piece of legislation (though a bipartisan one) which would successfully cement several of the new policies in US law. Mark Zuckerberg, with the help of a blog post on his official Facebook Page, announced on Friday some really big changes. He mentioned that the platform will now require political advertisers to go through a verification process. That verification process will take place BEFORE actors can post ads. Additionally, Facebook will also require from anyone who wants to buy issue ads on the platform to undergo the same verification process. Such a policy, if implemented correctly, will broaden the scope of the social media platform’s ad vetting process in a pretty substantial way. 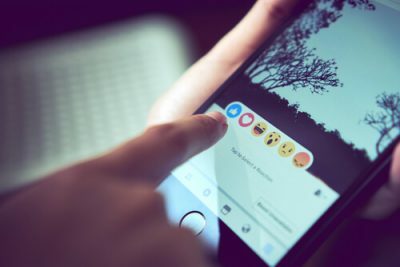 Well, via the new policies, the social media platform will cover not only the advertisements that explicitly target content related to candidates and elections, but also those advertisements that deal with hot-button and divisive political issues. Mark Zuckerberg also made the announcement that moving forward, Facebook (as a social media platform) would require Facebook Pages that have a large number of Facebook followers to go ahead and authenticate themselves. Moreover, Zuckerberg also said that the platform will provide followers of each Facebook Page more information. This would mean that Facebook Pages, from now on, will have to deal with additional details of their history. Steps such as these are pretty significant. Zuckerberg has taken the responsibility on himself to introduce new security measures. Especially when Facebook desperately need to dissuade bad and malicious actors from pollution its social media platform. These policies also come as a show of good faith. As mentioned before, Facebook badly needs to actually pay attention to its users. And win back the trust that it took for granted from the people who use the platform. Of course, winning back the trust of the people is just one of the many overlapping recent scandals that the company has had to deal with. Zuckerberg wrote in his blog post that these recent steps on their own would not prove enough to stop all the people who have tried to game the platform’s system. But, he wrote, these steps would help the platform. By making it super hard for anyone and everyone to do what operatives from Russia did during the United States 2016 presidential election. The recently announced measures, according to Zuckerberg, would also help to combat fake accounts. 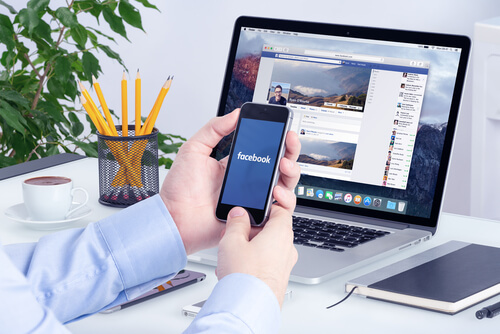 Facebook pages that exist solely to run ads will also come under heavy restrictions. But how will Facebook determine which ad belongs to which category? Trying to determine what precisely constitutes a political issue-based advertisement is a pretty complex process. Perhaps that is the reason why it is still unclear what type of issues will eventually fall under the new scope. Media reports have also talked about how Facebook would likely use a combination of human and automation review in order to detect both issue-based and electoral advertisements. The platform will require advertisers belonging to these categories to prove their identity. How will advertisers do that? Well, they will have to prove their identities with the help of ID cards. Along with these government-issued ID cards, they will also have to provide their mailing addresses. After they provided all the information, Facebook will move ahead to send them an official mail. The piece of mail would contain a specific code. And advertisers would have to use that code in order to complete the registration process. Once Facebook allows these advertisements to go live, it will mark these ads with the label “Political Ad”. According to news sources, the label would go in the top left corner of the ad. The label will also have a short description alongside it. This description would indicate who actually paid for the ad. Moreover, if it happens that a Facebook user spots an add with an improper label, the user can report the ad for human review. The social media platform had earlier announced that the company would scale up its official security and safety team. More specifically, Facebook would increase the size of its security and safety team to over 20,000 people in the year 2018. Last week, Facebook actually began the process of testing the company’s new authentication process. The social media giant has also laid plans to roll out the few authentication processes to all political advertisement buyers. By the look of things, it seems like the rollout will reach its completion stage by the end of the summer. This is what a Facebook spokesperson told reporters last week. Come June of this year, Facebook will also officially release a sort of global archive related to every political advertisement. This way, users will have the opportunity to see the text and the image contained in each add. Users would also have the facility to know the amount of money the advertiser spent on any given ad. Statistics like the ad’s reach and the ad’s targeted audience (or more like, the demographics of the intended audience) will also become available via these new features. Such new features will have one aim. And that aim would be to address the irritating issue of, what many have called, dark posts on the social media platform. These dark posts are usually only visible to a rather small segment of the total users as they are highly targeted. In other words, the rest of the public on Facebook does not really see these dark posts. These dark posts raised many questions. Questions related to the kind of content (or extreme content) that they might present to users. Meanwhile, the social media giant has already begun the process of rolling out a fairly large ad archive. Facebook remains the world’s number one social media platform. But will it stay that way? It did that in Canada. And the ad archive would basically enable users to view not only all the new ads but all the ads the social media platform page might have run in the past recent months. Users won’t only have the opportunity to see political ads but all ads. The company has also given an indication that it would launch this new feature on a global scale before the end of the summer. So what will these changes bring to Facebook and its image? Well, for one thing, this will put the social media platform ad disclosures right on par with some of the types of disclosures that TV and radio have to comply to at the moment. This is what the director of the Federal Election Commission reform at the Campaign Legal Center, Brendan Fischer told reporters. He also said that the fact that no transparency requirements were in place for digital ads at the given moment, anything which would bring about a little bit more transparency to these digital ads would actually represent a pretty big step forward. There is little doubt that perhaps the majority of the changes that Facebook is bringing will make things harder. Harders for online propagandists and hoaxers. Some believe the recent changes would bring new and unprecedented online barriers for malicious actors. Malicious actors such as the Russian Internet Research Agency. A few media reports have alleged that the Russian Internet Research Agency built huge audiences on Facebook. But it did that with divisive politics. And of course, Facebook Pages. The Internet Research Agency also purchased advertisements in order to expand its reach to more Facebook users. One of the many Facebook pages that the Internet Research Agency controlled came in the form of Blacktivist. This Facebook Page managed to amass over 500,000 Facebook followers. That may not sound like much. But consider the fact that Blacktivist had more Facebook followers that the official Facebook Page of Black Lives Matter. So what did this do? Questions about how could Facebook let Blactivist’s online behavior go undetected. This is indeed a blind spot. And Facebook has now recognized this blind spot. 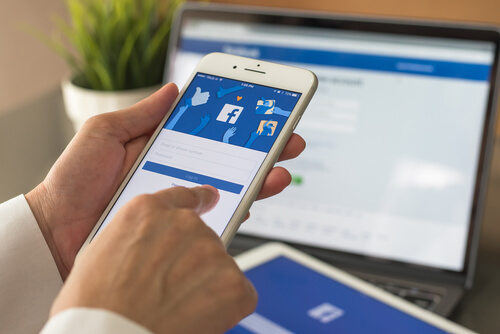 The social media giant has addressed this issue by requiring all operators of popular Facebook pages to go through an authentication process as well. As mentioned before, Facebook Pages will now have to give their Facebook followers more information. They will have to provide more information about the content that the Facebook Page in question shares. And of course, any and all name changes that the Facebook Page may have gone through in the recent path. So what would constitute a large Facebook Page? Of course, it is very hard to stop bad actors in the online world. But with consistent effort, one can at least contain these problems. Unfortunately, the company has still not defined clearly what would constitute a large Facebook Page. Facebook also hasn’t provided many details on what the company’s new authentication process would entail. Moreover, it also has not clarified what kind of information will Facebook Page followers would have the opportunity to see. When WIRED contact Facebook for answers, the company’s spokesperson said that the company would share those details at a later time. Up until now, the social media giant has specifically focused on one thing primarily. That one thing is its vetting process for explicit political ads. These political ads are the ones that mention a political candidate by his/her name. Ads that a candidate or a political party has purchased will also come under the category of political ads. So what’s wrong with the current process? According to some, the current vetting process is not comprehensive enough. In other words, it leaves behind gaping loopholes. Loopholes that organizations such as the Internet Research Agency exploit. And take part in fear-mongering advertisements about issues such as Islam and immigration. Many media reports have shown that the Internet Research Agency bought several of these political ads. But never managed to reference any candidate and/or reference to the US 2016 presidential election at any point. We have already mentioned the fact that Zuckerberg mentioned the Honest Ads Act in his blog post on Facebook. This Honest Ads Act will aim to close down such loopholes. It will do that by requiring digital social platforms to actually disclose who purchased these political ads. Or who paid for these political advertisements. This will, currently, only happen for ads that are related to issues of, according to official sources, national legislative importance. Of course, the Honest Ads Act legislation will first have to move through the United States Congress. Regardless, Facebook would actually implement many of the Act’s ideas. This is what Zuckerberg indicated to the WIRED magazine in a recent interview. Zuckerberg said that he believed the Act’s clauses would end up proving themselves good for the whole community. And of course, good for the internet if online/internet services would live up to many of the same standards that traditional media and TV have to go through. Zuckerberg also talked about he wanted to see internet services go beyond traditional media in terms of transparency. As mentioned before, traditional media and TV have to comply with very strict standards when it comes to advertising. According to Zuckerberg, it only seemed logical that online services would better traditional media in this regard. Mark Warner, a Democratic Senator, made a statement on Friday which lauded the latest move. Senator Warner is also one of the sponsors behind the recent Honest Ads Act. The name of any candidate. Prior to the United States 2016 presidential elections, its ads did not mention Donald Trump. And they did not mention Hillary Clinton either. But IRA ads did mention some divisive US political issues. According to Warner, he considered Facebook’s recent announcement very important given the context. He also said that he wanted to see all other such online companies and platforms to follow suit. Warner also mentioned that all the involved parties had to work really hard towards making the proposed Honest Ads Act US law that would govern the country. Legislation like Honest Ads Act, according to Mark, would ensure that the law does not treat political ads on online platforms differently from ads on radio and TV. In other words, all ads regardless of the fact that they are from traditional media or social media, should follow the same disclosure rules. But before all of that can happen, Zuckerberg will have to deal with the looming testimony before an official joint hearing. The joint hearing would consist of two US Senate Committees. It will take place on Tuesday. Then Zuckerberg will have to do it all again on Wednesday in the House. Perhaps that is the reason why Zuckerberg has quickly rushed to release all the new details about how the social media platform he founded would try and clean up the huge mess it caused during the United States presidential 2016 election. Now, we already know that Facebook will go ahead with this overhaul of the platform’s political ads. Apart from that, Facebook also announced a set of new restrictions on app developers. Or more specifically, app developer tools. The company announced its decision on introducing these restrictions last week. Facebook’s new restrictions would limit the total amount of data which applications can ask the platform’s users for. That same swirling scandal that unearthed the fact that a British firm and its American Offshoot accessed unauthorized data of up to 87 million Facebook users. The British firm we’re talking about here is SCL. And its American offshoot company is, Cambridge Analytica. Now, the process of actually patching up all the holes which allowed firms such as Cambridge Analytica to actually breach 87 million Facebook users’ private data also, unexpectedly, unearthed other older and unknown threats to the platform’s user security. This past Thursday, Zuckerberg also made an announcement which talked about all these issues. He said that Facebook did have a feature which allowed people to actually search for people with their email addresses. This feature may have enabled actors to scrape public profiles on the platform in the recent path. According to Zuckerberg, most of the platform’s 2.2 billion users would have had their information scraped. While talking to reporters he also said that if some users had turned on that feature, they should have expected data compromise. In other words, it was reasonable to expect that someone might have actually accessed your publicly available information if you made the mistake of turning on that feature for any amount of time in the last several years. Both Zuckerberg and the Chief operating officer of Facebook Sheryl Sandberg, in several interviews, have taken responsibility for all of Facebook’s failures. And these include institutional failures as well as individual failures. With the type of changes that Facebook plans on bringing, it shows that both these executives mean it. Zuckerberg is right on one point though. No amount of company oversight can ensure that no malicious actor will try to influence events such as elections. That holds true for the online world as well as elsewhere.